Fall/Winter Jacket & Coat Wish List! Currently, coats are at the top of my fall/winter shopping must haves list! 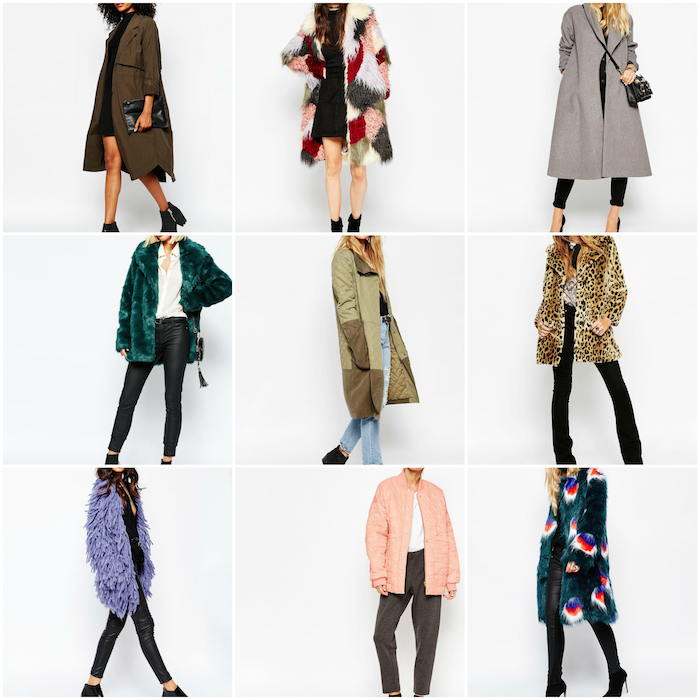 I can't help but get on ASOS and drool over all of the amazing faux furs, parkas and trench coats! Jackets and coats can basically make or break your outfit in the fall and winter, since it's always the top clothing layer any time that you walk outside. This season, I definitely plan to do a little investing in my coat collection. Now let me clarify, I will definitely not be purchasing all of the coats in this wish list....keyword wish. However, even as a thrifty shopper, I do believe in investing in good quality pieces every now and then that you know will last you for years to come.